Have you been wanting to grow some fresh herbs or pretty flowers, but don’t have a lot of space on your deck? 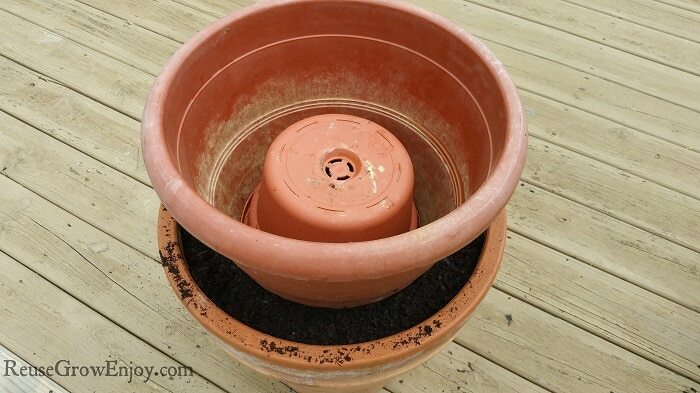 You should check out this DIY flower pot tower. It is easy to do and only takes a few minutes to make. By making this tower, you triple your growing space by going up. Then you can have many fresh herbs and flowers and take up very little space on your deck. 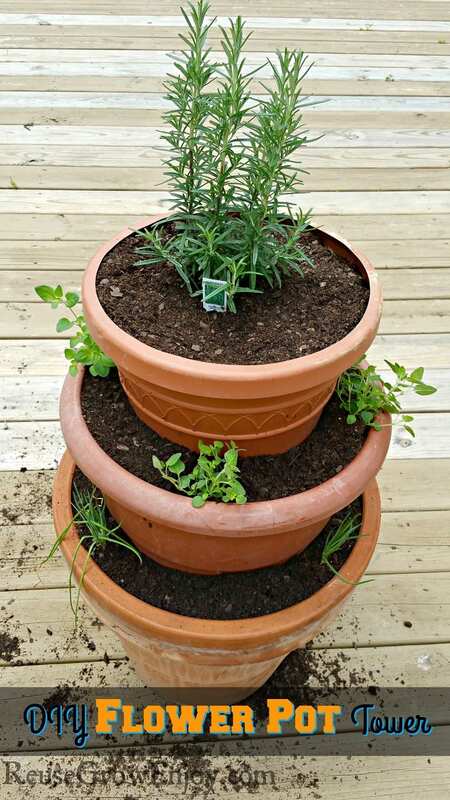 First things first, let’s get to the supplies you will need to make this DIY flower pot tower. 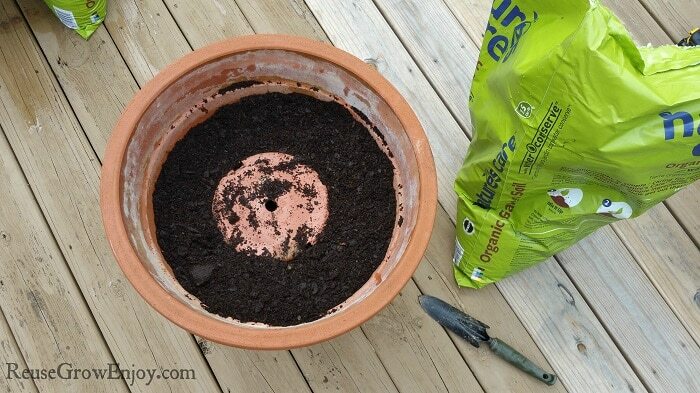 I list that you need to have 5 pots of different sizes to make this 3 layer pot like I did. However, the sizes of the pots used are up to you. 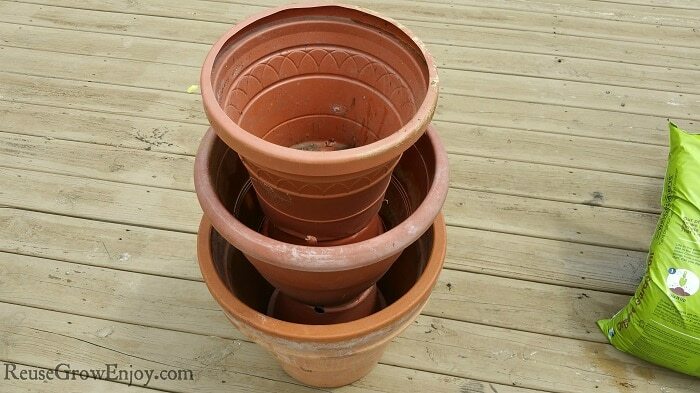 It will depend on how large or small you want your flower pot tower to be. The pots need to be slightly smaller than each other. So you would have the largest pot on the bottom and then one a little smaller flipped upside down and put inside the largest and so on. 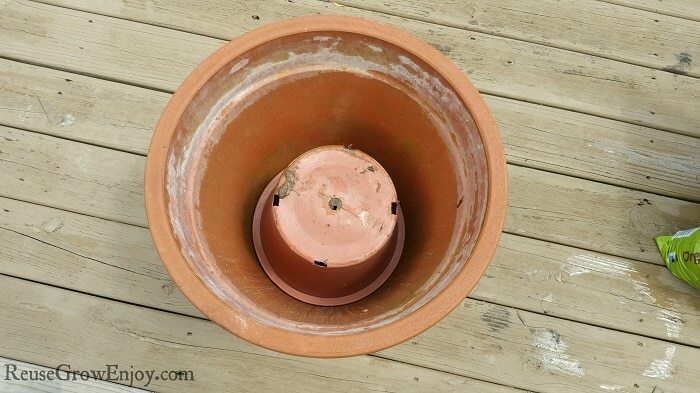 It is also up to you if you want to use plastic or clay pots, both work just fine. I actually used both, clay on the biggest bottom one and then plastic for all the rest, as that is what I had on hand. If you do not want to make a tower, they can be bought at places like Amazon. First off you will want to do a test run to figure out what size pots you want/need. Start with one large pot and then on a little smaller. Take the slightly smaller one and place it upside down inside the larger one. Then take the next largest pot and place it on top of the upside down pot. Now take the next largest and place it upside down inside the last pot. Then finish by placing the last pot on top the upside down pot. After you have it all worked out on what pots you are using and how it goes together, un-stack and start over. We are going to rebuild just like the test run. The only change is we will be adding dirt around the upside down pots after they have been placed inside the other pots. 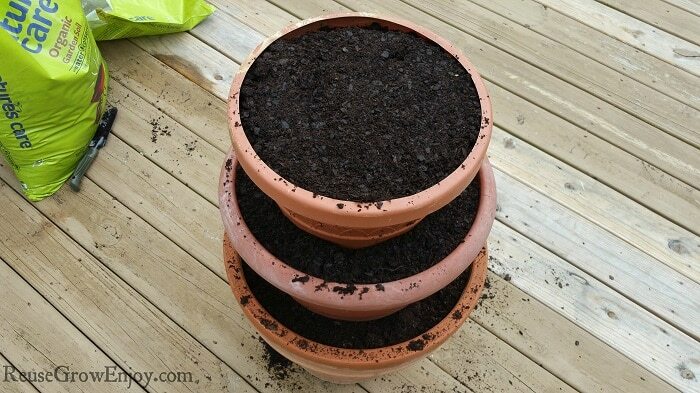 After you have placed the second upside right pot, you can fill in around it with a little extra dirt to help keep it from shifting and so that it stays in place. When the top pot is in place fill it with dirt. Then go back and plant your plants where you want them. I did Chives on the bottom, Oregano in the middle and Rosemary on the top. That is it! You now have a new flower pot tower to add to your deck or yard. Or you could also have this indoors in a sunny room! If you liked this post, you may also want to check out DIY Wine Cork Plant Markers or Raised Garden vs Ground Garden.